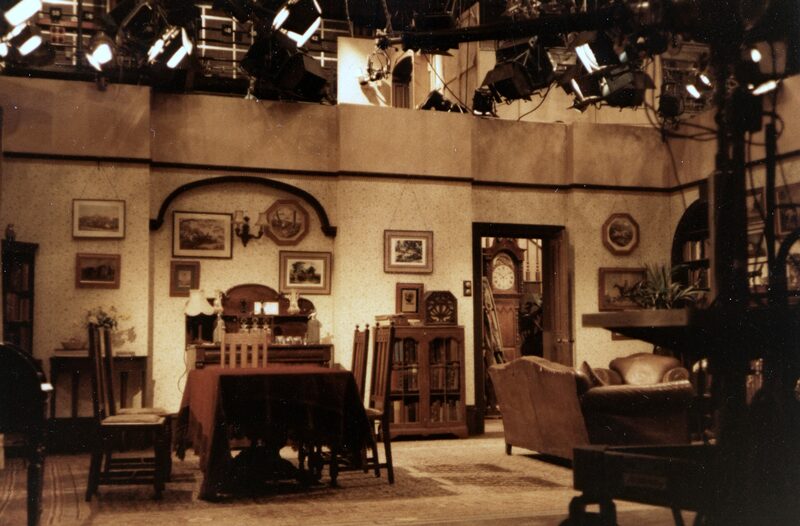 Studio A was the main drama studio, and at least initially had network drama bookings most of the time. The main drama booking days were Sun/Mon and Wed/Thurs for usually Rehearse day 1 and Record day 2, allowing for set and light on Tuesday and Saturday and sometimes a quick booking on a Friday. Studio B was used every weekday evening for Midlands Today, and briefly on a Saturday for the sport report, and on a Sunday for either Farming (the forerunner of Countryfile) and/or the Asian network programme “New Life”. Farming went out at lunchtime on a Sunday, and “New Life” was recorded on a Sunday afternoon/early evening. Pebble Mill at One used the cameras from Studio B on Mondays, Wednesdays and Thursdays, as normally Studio A was in use for Drama. Studio A cameras were used on Tuesdays and Fridays when there were not normally drama bookings. If there were gaps in the bookings Studio A cameras were used in preference, as there was then an extra camera available. At that time Studio A had a complement of 4 cameras and a hot spare, whereas Studio B had just 3 cameras. In the earliest days the camera control unit (CCU) for one of the cameras was shared between Studio B and Studio A, which involved major re-cabling after Pebble Mill at One. By the time I moved to Studio ops, an additional CCU had been acquired, so this chore was no longer necessary. There was one additional camera and CCU in the back room of TAR, this was the “maintenance channel” and was used to repair faulty modules, and circuit boards. It was rare for it to be fully functional, and occasionally it was a case of checking whether the module or circuit board that had gone faulty in one of the studio cameras was better or worse than the one in the maintenance channel, or which might be quicker to repair! The cameras needed constant cosseting to get the best out of them, but when working well produced pictures that even against today’s cameras were very good. Later on a further camera was obtained for Studio B which was permanently rigged in the presentation annex, meaning that there were always 3 cameras available in the studio area, and the practise of wheeling one into presentation for the end of Midlands Today was no longer needed.